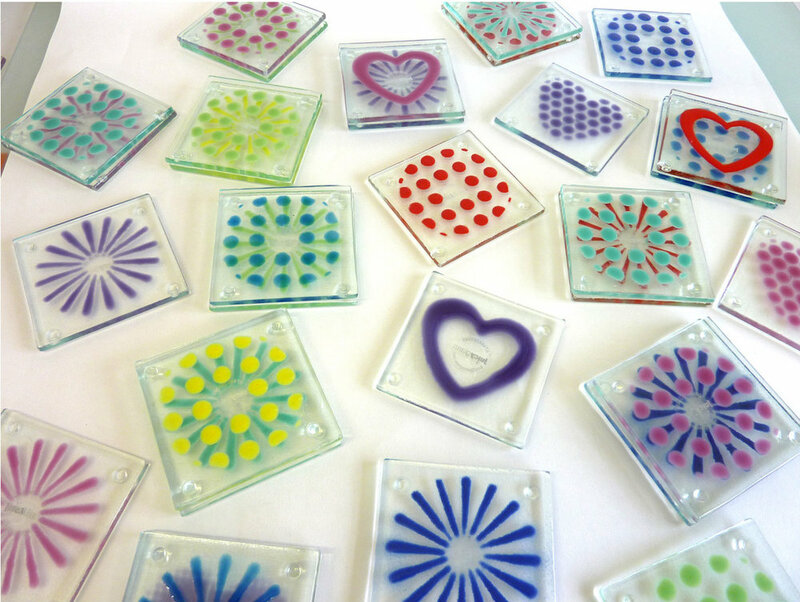 Lucy Hall has trained in glass design and techniques with some of Europe’s foremost glass designers, writers and technicians. Her experience includes six months studying in the heart of Sweden’s glass industry and gaining a first class degree from The National Glass Centre in Sunderland. 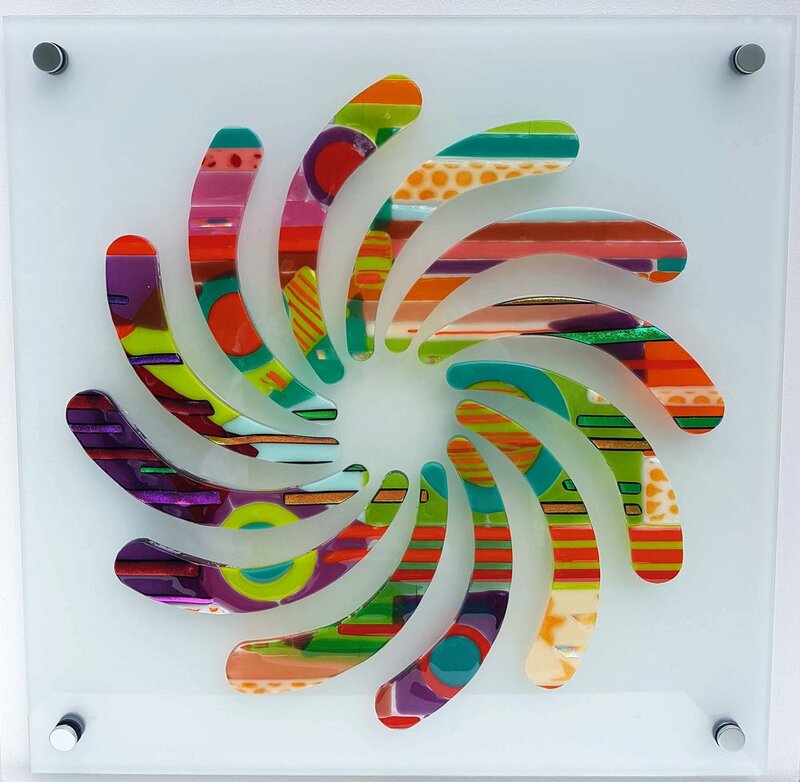 She has gone on to design, produce and project manage a wealth of private and public art commissions, emanating from her Nottingham based glass design studio. 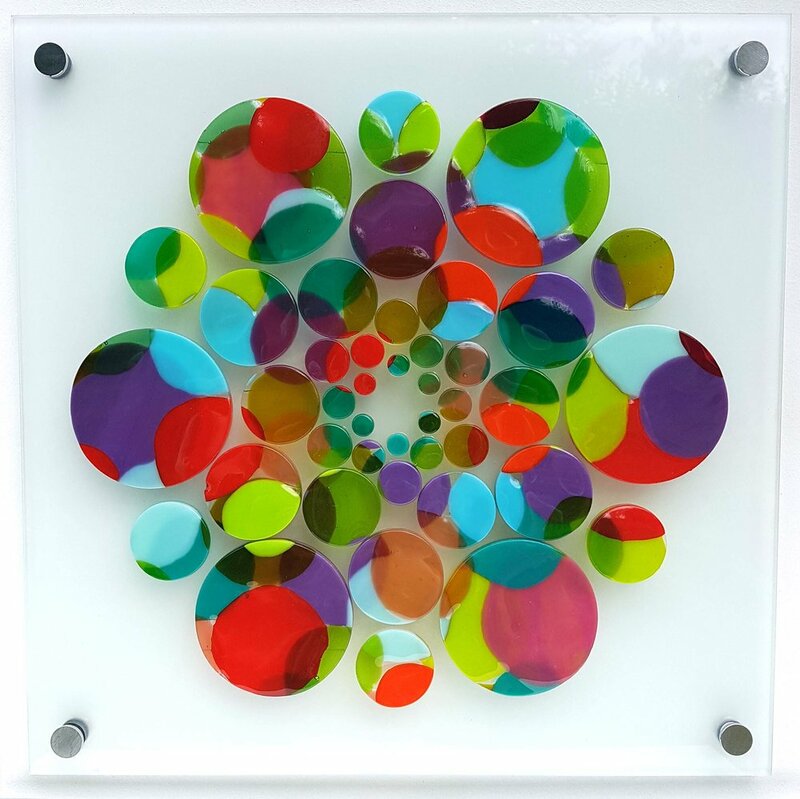 Examples of Lucy’s work and that of Juicy Glass can be found countrywide including local works in The Queens Medical Centre, Nottingham City Hospital and The Broadway Cinema. 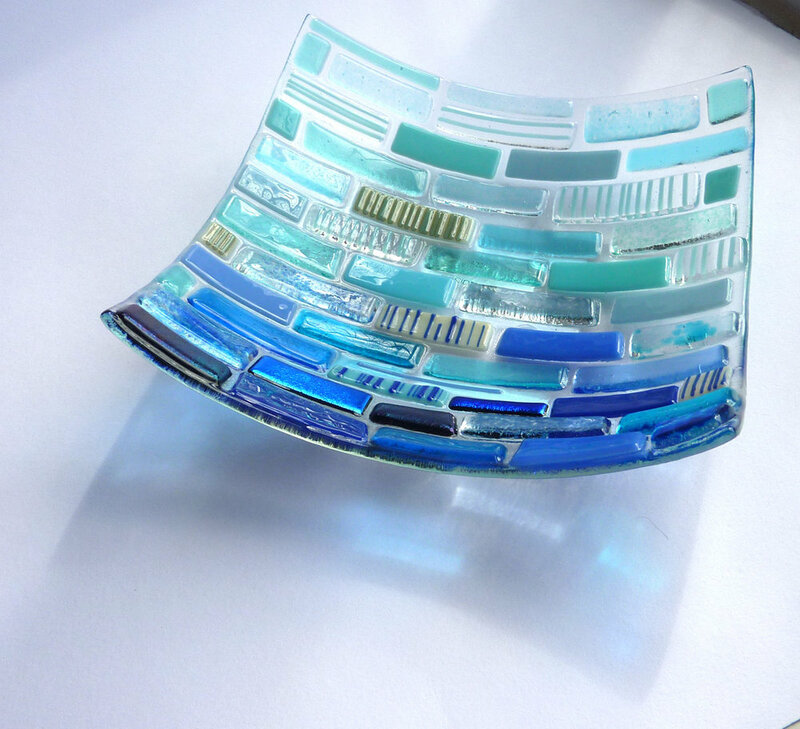 As an experienced designer and maker, Lucy has also produced a popular range of fused glass giftware and jewellery in an array of sumptuous colours and contemporary designs. Firstly we would like to say a big thank you to all our wonderful customers for making 2018 a record year for Juicy Glass. We are very much looking forward to seeing you all in 2019 at our established venues and are excited to have added some new events to our calendar. In May, we will be launching a new range of architectural panels at the Lady Bay Arts Festival, where we are very kindly being hosted by Snail and Rabbit, www.snailandrabbit.co.uk. 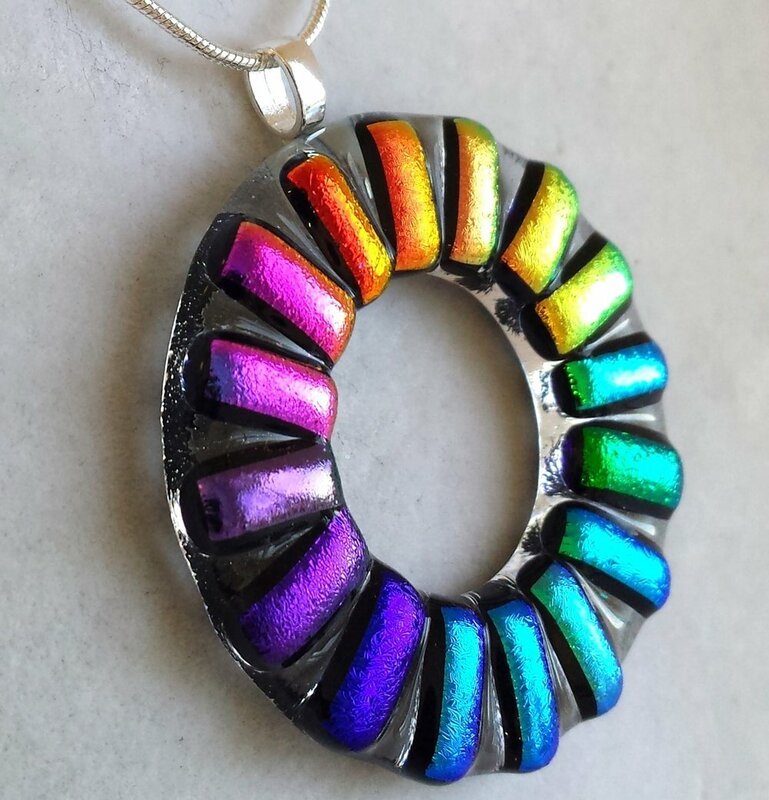 I am also very excited to announce that I am hoping to be bringing my range, plus a new selection of handmade fused and dichroic glass, to the Latitude Music festival, Henham Park, Southwold, Suffolk, in July, so watch this space.